Is there any evidence to support the claim that the Apostle St. Peter founded the Church in Antioch and, if so, what are the implications? Is there any substantive evidence to support the claim by the Antiochian Orthodox Church that the apostle Peter founded their church? And, if so, what are the implications with regard to the Roman Catholic Church claiming Peter founded their church in Rome? Is there any possible evidence to support the claim of the Antiochian Orthodox Church that their Church was founded by the Apostle St. Peter founded their church? And, if so, what are the implications with regard to the Roman Catholic Church claiming St. Peter founded their Church in Rome? There are a few things we must remember prior to going on into details with this question. Prior to 1054, most of Christendom was in Christian unity and the Church in Antioch was no exception. The Church of Antioch is one of the five patriarchates that constituted the one, holy, catholic, and apostolic Church before the schism between Rome and Antioch in 1098 and between Rome and the other patriarchates at around the same general period. Today it is one of the autocephalous Orthodox Churches. In English translations of official documents, the Church of Antioch refers to itself as the Greek Orthodox Patriarchate of Antioch and All the East. The Church of Antioch is the continuation of the Christian community founded in Antioch by the Apostles Peter (who served as its first bishop) and Paul, who are its patron saints. In terms of hierarchical order of precedence, it currently ranks third among the world's Orthodox churches, behind Constantinople and Alexandria. As far as the Catholic Church is concerned the Church in Antioch was indeed founded by the Prince of the Apostles St. Peter. Churches can not always control the fates of history and seeing that the Church of Antioch eventually became an independent Orthodox Church, separated from Rome is of interest here. Seeing that the Apostle St. Peter eventually moved on to found the See of Rome where he eventually was martyred for the faith and where the primacy of the Apostle Peter was to remain. In other words, this implies that the gifts that the Apostle St. Peter received from Our Lord were transferred to the successors of St. Peter at Rome and not to the successors of St. Peter at Antioch. That much has never seriously been questioned within the Catholic Church. St. Evodius and St. Peter had different regions of jurisdiction at the same time. The gifts given to the Prince of the Apostles will be transferred to the Successor of St. Peter were he last reigned as Supreme Pontiff. Now let us look a little closer to the question of Antioch. Scriptures point out to us that St. Peter was indeed in Rome. Some people believe that the founding of the Church in Antioch can be traced to the Biblical Acts of the Apostles (11:25-27), which relates that Barnabas travelled to Tarsus to bring Paul the Apostle there. They worked for a year with the nascent Christian community, and their adherents to the faith were called "Christians" for the first time. Christian tradition considers the apostle Peter to be the founder of the Church of Antioch and the first priest of the Christian population established there; the Church of St. Peter is traditionally considered to be at the place where he first preached the Gospel in Antioch. The oldest surviving parts of the church building date from at least the 4th or 5th century; these include some pieces of floor mosaics, and traces of frescoes on the right side of the altar. 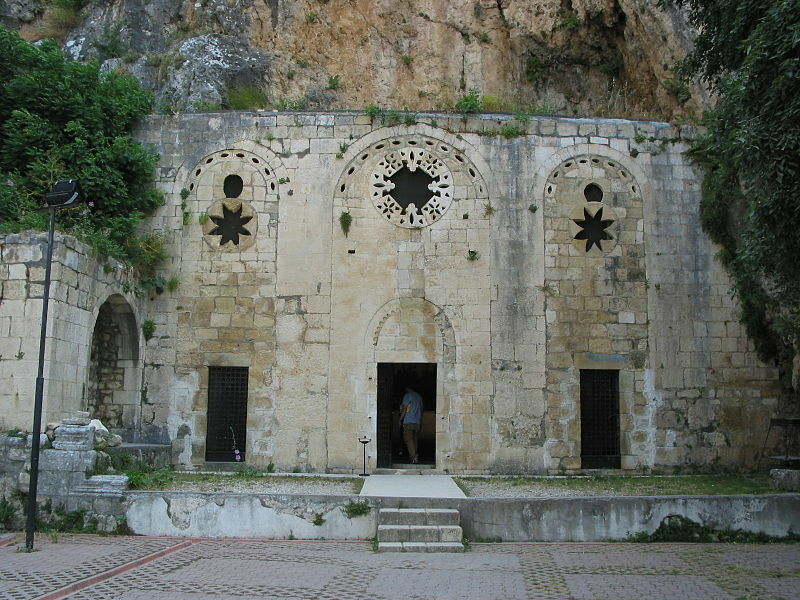 The tunnel inside which opens to the mountainside is thought to have served the Christians for evacuation of the church in case of sudden raids and attacks. Water which seeps from the nearby rocks was gathered inside to drink and to use for baptism; flow of this water, which visitors drank and collected to give to those who were ill (believing that it was healing and curative), has lessened as a result of recent earthquakes. According to the Apostolic Constitutions Book VII P 46, the claim is that St. Evodius was first bishop, but who was appointed as such by Peter; thus making St. Peter also the founder of the Antiochian See. Interesting question akin to did Peter found the church at Rome. Historical evidence of either is scant, but here is Eusebius and Schaff's commentary. For Eusebius, Evodius was first bishop, followed by Ignatius. So, according to the Apostolic Constitutions Book VII P 46, the claim is that Evodius was first bishop, but who was appointed as such by Peter. The sense is not necessarily that Peter lived for years in Antioch, but rather visited and established his successor Evodius, the first bishop. Implications of this tradition of Peter founding the church at Antioch? It depends on one's interpretation of the well discussed "upon this rock" being either Peter or his confession. If one believes the rock refers to Peter, then we have competing claims as to which church that might be; that is, either the one sourcing to Antioch or Rome or even Jerusalem. If one believes the rock refers to one's confession of faith in Christ, then it basically does not matter the location of where Peter roamed, but rather just the facts that he and the other apostles did carry the gospel, the good news, message outward from Jerusalem to the ends of the earth. The comment made by the head of the Syro Malabar Catholic church is 'No document exists before Chalcedon (AD 551). After Chalcedon, Rome created a list of bishops beginning from St Peter and constantinople created a list of bishops beginning from St Andrew. the so called Greek orhodox church of Antioch (Antiochean Orthodox church) was in invention of Constantinople after Melkites fully joined catholic church. They follow Byzantine liturgy, and not Antiochean. Antioch was the first diocese St. Peter founded. Later he went to Rome, where he ruled the entire Church until the end of his life. Isidore, in his life of Peter, says: “He, after founding the Church at Antioch, continued to Rome against Simon Magus under the rule of Claudius Caesar and there, preaching the Gospel, held the pontificate of the same city for twenty-five years.” Bede553 has the same, as does Freculph,554 Ado of Vienna,555 and all more recent authors. 554. Chronicorum, tomus 2, bk 2, ch. 13. 555. Chronicum, anno Christi XLV. 556. Constit. Apostolic., bk 7, ch. 46. 557. In pontificali in Petro. 558. This is 93 among the epistles of Augustine. 559. Leo, serm. 1 de natali Apostolorum; Gelasius Epistola ad Episcopos Germaniae et Galliae; Gregory bk 2, epist. 33; Agatho in epistola ad Constantinum imperatorem; Adrian epistola ad Tharasium; Nicholas I, Epistola ad Michaelem. See also ch. IX "Antioch" of Saint Peter and the First Years of Christianity by Constant Fouard. Not the answer you're looking for? 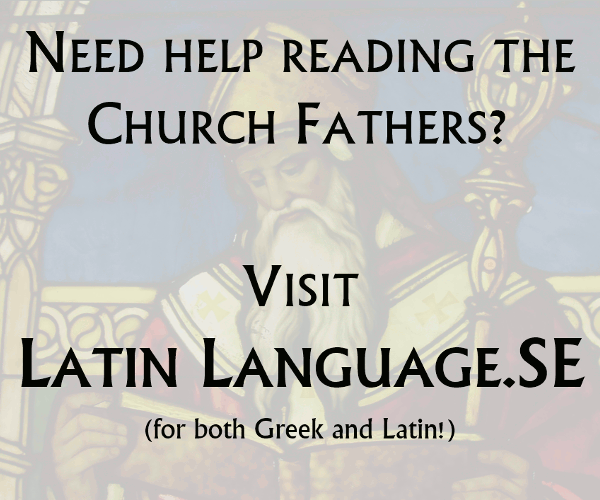 Browse other questions tagged catholicism church-history eastern-orthodox peter antioch or ask your own question. Why is the Last Place on Earth St. Peter Founded the Seat of his Authority? What is the Biblical basis for Peter being the leader of the apostles? Is a bishop in Roman Catholic tradition equal in authority with the apostles? Is the present-day Roman Catholic Church the same church on which it was founded? What are the Church fathers' arguments that Peter is the rock? What evidence is there that Peter was a bishop in Rome? Was Emperor St. Justinian an Aphthartodocetist? Has there ever existed a Catholic local church feast at Rome in honor of the Domine Quo Vadis? Does the Catholic Church in Turkey celebrate the Feast of the Chair of St Peter at Antioch? What evidence exists to support church traditions regarding the deaths of the following apostles? According to Catholicism did Pope Linus know that he was the Pope and Head of the Church?